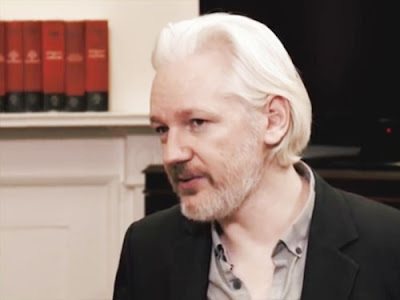 (Jake Anderson) The U.S. government is dramatically ratcheting up its rhetoric against whistleblowing news collective Wikileaks, announcing on Thursday that authorities are preparing new charges on which to arrest the group’s founder, Julian Assange. Assange has lived at the Ecuadorian embassy in London for the last four years in order to avoid extradition and arrest. Now, in the wake of Wikileaks’ controversial Vault 7 releases, which exposed thousands of documents detailing the CIA’s use of domestic and international cyberhacking tools, it appears the government is out for blood. The Justice Department has sought charges against Assange for almost decade, since Wikileaks facilitated the release of files stolen by whistleblowers like Chelsea Manning. Tension between Wikileaks and U.S. intelligence agencies was further eroded during and after the 2016 presidential election, when U.S. authorities — citing no evidence — asserted Wikileaks had colluded with Russia to affect the outcome. While Ecuador previously signaled it would not extradite Assange, new statements by CIA Director Mike Pompeo indicate the U.S. may believe it has a path towards arresting Assange, whose leaks have revealed countless state abuses of surveillance power. Recently, a joint investigation by the CIA and the FBI sought to identify the leaker of the Vault 7 files, which show, among other things, that the CIA is capable of surveilling U.S. citizens by hacking into their smart devices. “It’s time to call out WikiLeaks for what it really is: A non-state hostile intelligence service often abetted by state actors like Russia,” Pompeo said last week in a speech at the Center for Strategic and International Studies in Washington. In a recent op-ed in the Washington Post, Assange repudiated claims made against Wikileaks.